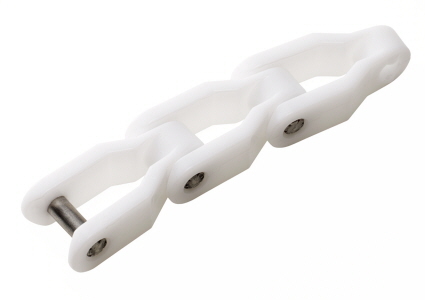 Our uni Plastic Chains are available for both straight running and side flexing applications. 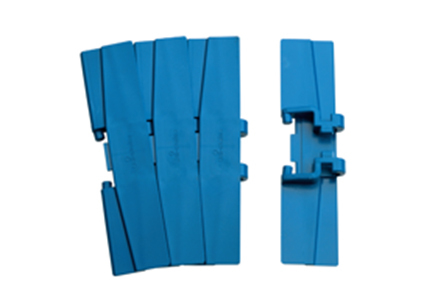 uni Side Flexing Chains are available as Bevel type and Tab type. uni Slat Top Plastic Chains are used mainly in the Food and Packaging Industry for conveying of various container types. Our uni Super Flex Tracking System is available for Plastic Chains, as well as Beveled and Tab Chains for straight running, side flexing and inclined conveyors. 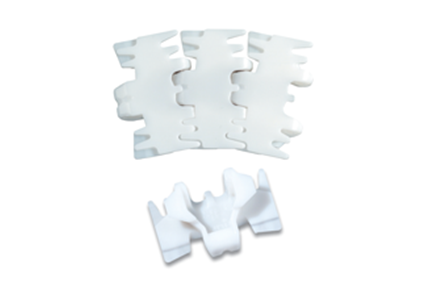 uni Plastic Chains are also available with rubber inserts. 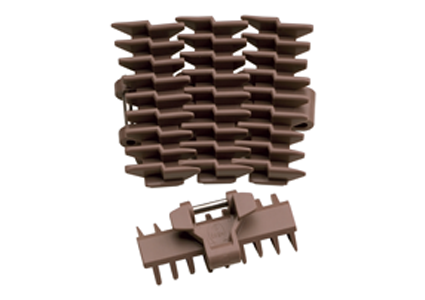 Comprehensive range of standard Slat Top Chains. Used for bottle, can and packaged products transportation. 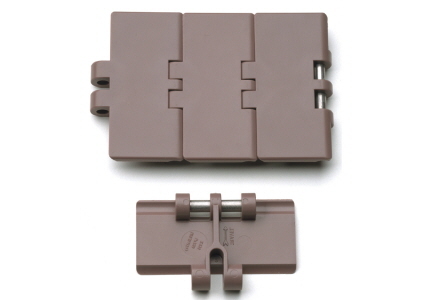 Comprehensive range of standard Slat Top Chains. Used for bottle, can and packaged products transportation. Tab hold down system for curves. 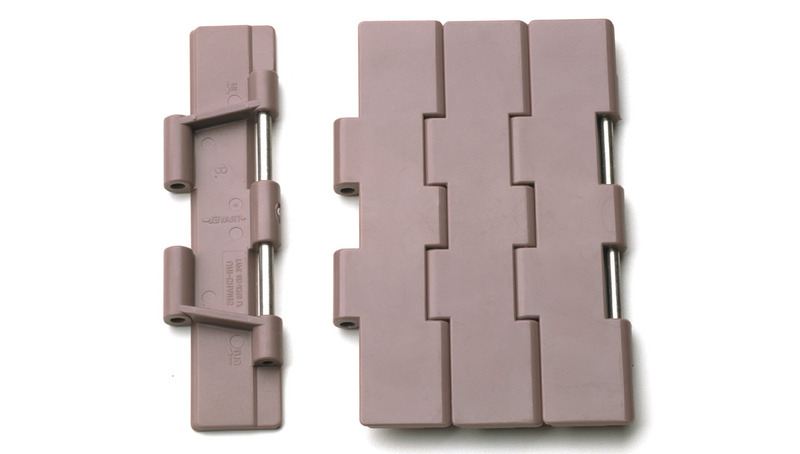 Comprehensive range of standard Slat Top Chains. Used for bottle, can and packaged products transportation. Bevel hold down system for curves. 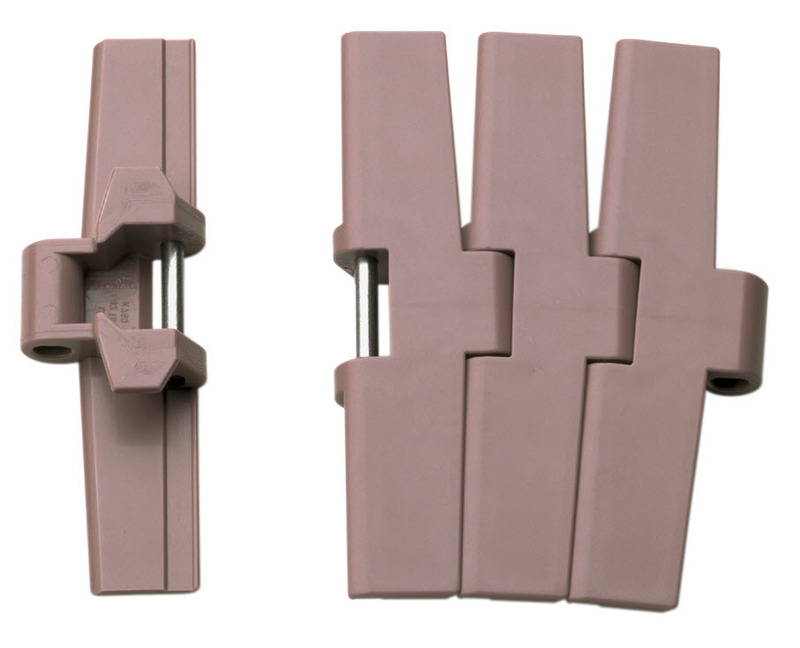 Comprehensive range of Standard Slat Top Chains. Used for bottle, can and packaged products transportation. Super Flex hold down system for curves. Ideal for the Beverage, Container (bottles, cans) and Packaging Industry. Snap-On Chains are designed with overlapping flights assembled on special roller chains with extended pins. 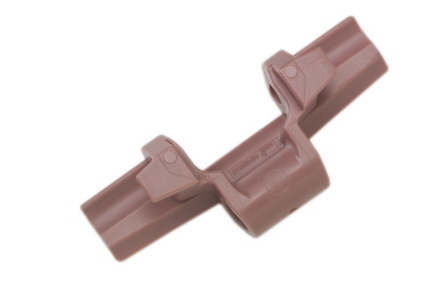 This is an advantage at high speeds as it reduces noise levels. Overlapping flights are an advantage where people work at tray conveyors; they ensure there are no vertical gaps between the flights so nothing can get caught. All Snap-On versions can be delivered either with a stainless Steel Chain (SS304) or a carbon Steel Chain. 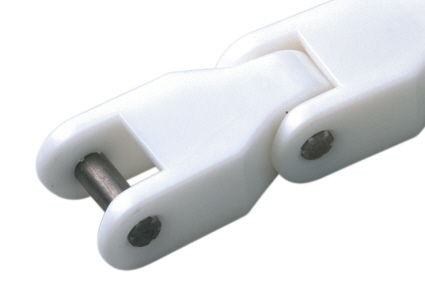 Plastic links mounted on precision roller chains. Used for higher speed conveyors and longer conveyors. 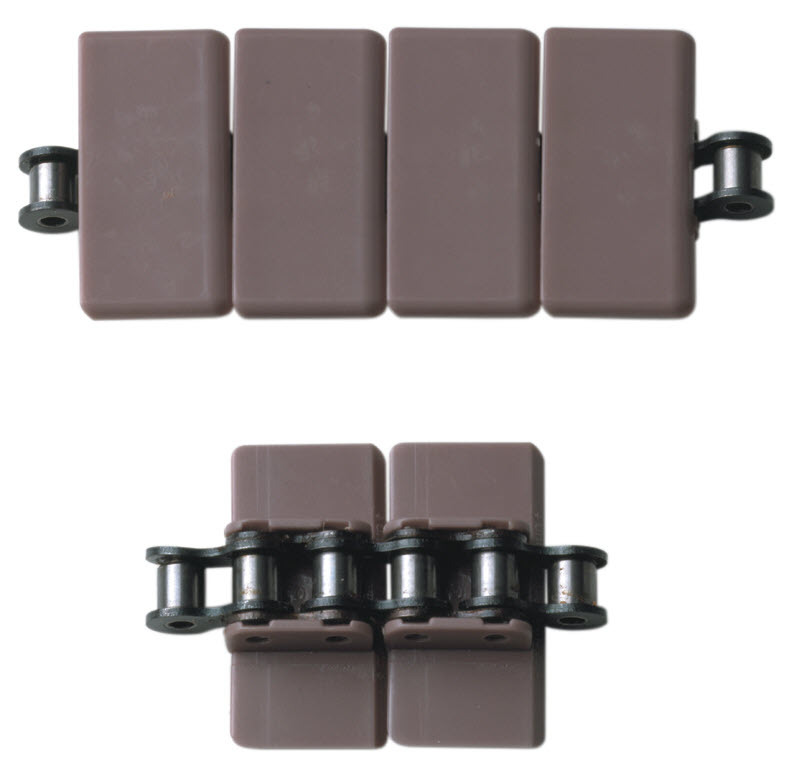 Plastic links mounted on precision roller chains. Used for higher speed conveyors and longer conveyors. Tab hold down system for conveyor tracks. 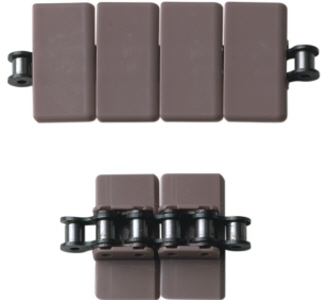 Plastic links mounted on precision roller chains. Used for higher speed conveyors and longer conveyors. Tab hold down system for conveyor curves and tracks. 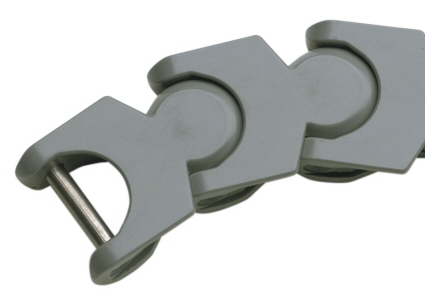 Comprehensive range of universal Case Chains. Mainly used for case / crate handling. 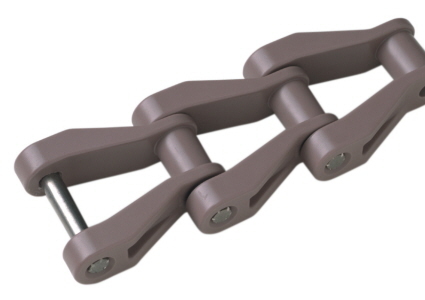 Comprehensive range of universal Cardanic Chains. Used for bottle, carton and packaged products transportation. 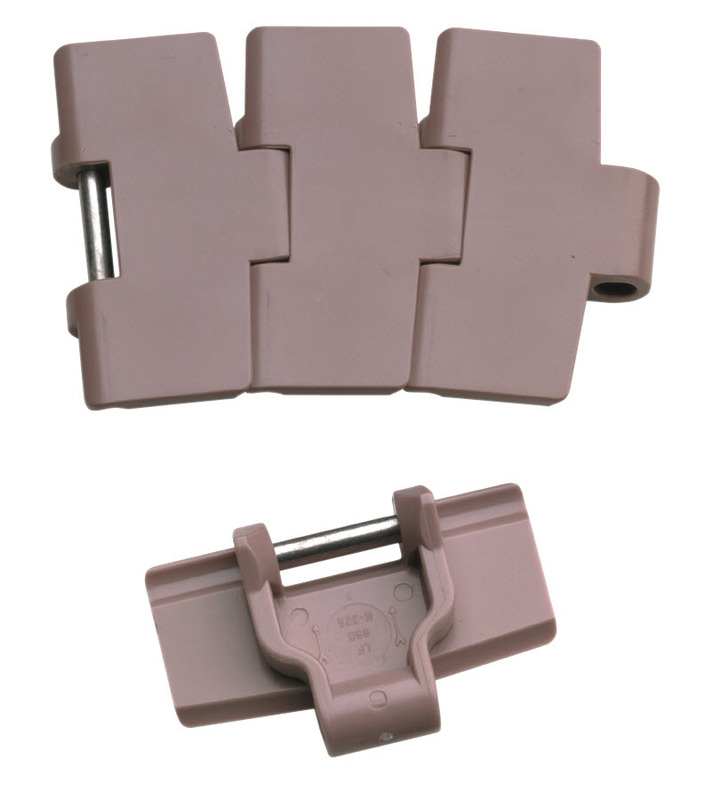 Range of Side Flexing Gripper Chains. 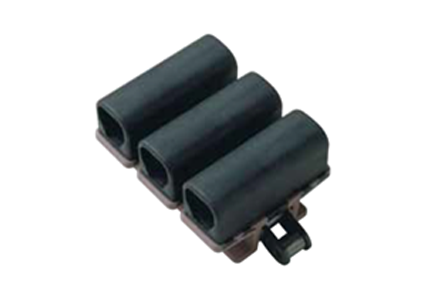 Used for gripper elevators and container inverters. Tab hold down system for conveyor curves and tracks. 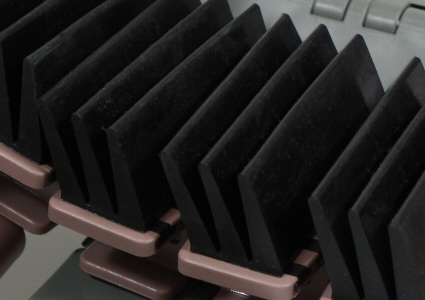 Used for product accumulation with low back-line pressures. Sometimes used to create gaps between conveyed products. 821 PRR Series. 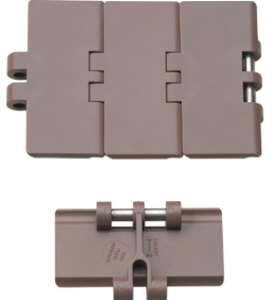 Straight Running, Double Hinge Chain with rollers on top surface (5 mm pins). 821 RO Series. 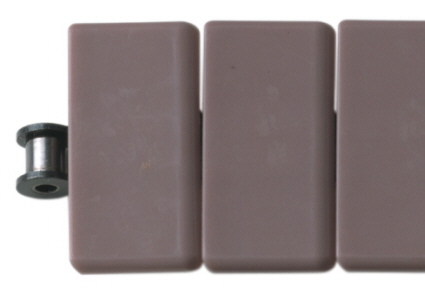 Straight Running, Double Hinge Chain with rollers on Chain Hinges. 821 PRR 4 Series. 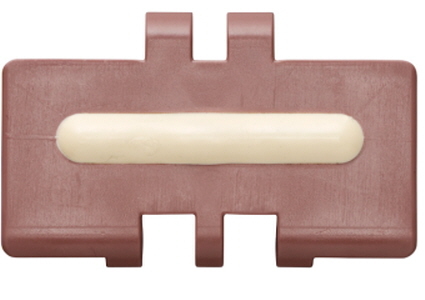 Straight Running, Double Hinge Chain with rollers on top surface (4 mm pins). 882 PRR Tab Series. Side Flexing, table top Chain with rollers on top surface (5 mm pins). 882 PRR 4 Tab Series. Side Flexing, table top Chain with rollers on top surface (4 mm pins). 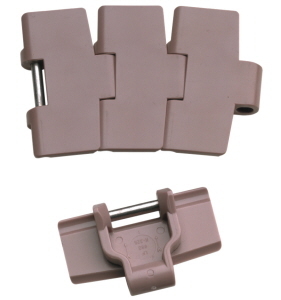 Range of Side Flexing Rib Chains. 880 Rib Series. 8% open, suitable for fairly large items, based on 880 Chains series. 880 Rib Flex Series. Shorter Rib distance for smaller items, based on 880 Chains series. 882 Rib Flex Series. Shorter Rib distance for smaller items, based on 882 Chains series. Range of Slat Top Chains. The limit for the incline of a chain conveyor without the problem of products sliding back is usually 3-4 degrees. 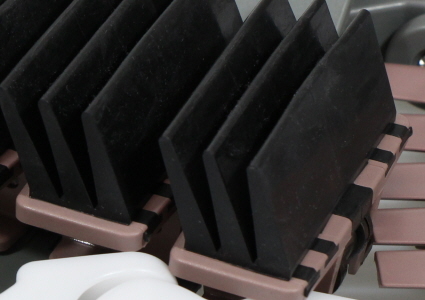 For higher inclines, the solution is a chain with moulded rubber inserts. 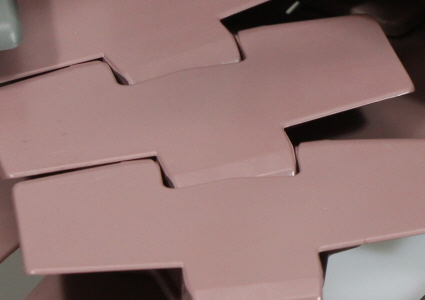 uni-chains moulded rubber inserts are available in various hardnesses and can be supplied for all uni Slat Top chains, Snap-On chains and some uni Flex chains.